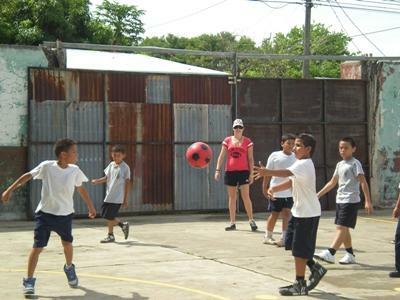 Projects Abroad volunteers can coach sports in Central America throughout the year. Usually, our volunteers work in schools or with community-based programs, coaching sports such as volleyball, track and field, and football. As a volunteer you can get involved teaching a variety of sports to children and teenagers. You can work as an assistant to a local coach or PE teacher and lead classes by yourself or teamed with another volunteer. 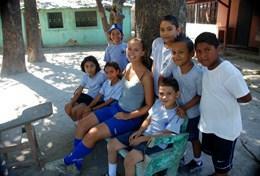 How Can I Coach Sports in Central America? The presence of a volunteer sports coach is highly beneficial for the youth, as you can help provide a safe space for children to learn and grow in. It will also benefit you, giving you the chance to develop leadership skills while having fun. You do not need any experience to coach sports, as long as you have a passion for sports and keeping fit that you are eager to share with children abroad. 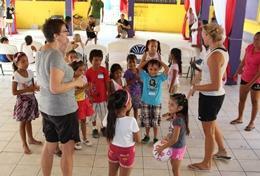 Volunteer as a sports coach in a school in Costa Rica. Soccer is the most popular sport, but some schools have facilities for volleyball and track & field, and focus on general fitness activities. Volunteer in Belize and coach sports to encourage healthier active lives for children in local schools, combatting the growing problem of childhood obesity.